February, the shortest month of the year, seems to be packed full of the most love! Not only does Valentine's Day sit in the center of it, but the entire month is National Weddings Month. February is a very popular time for wedding proposals, and it is also the time when many couples begin attending bridal shows and start their wedding planning. 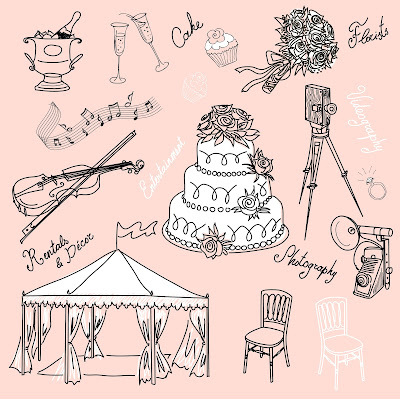 A lot goes into planning a wedding: picking a venue, choosing the food and music, making a guest list, finding the best bridesmaid gifts for your special girls... The list seems to go on and on. 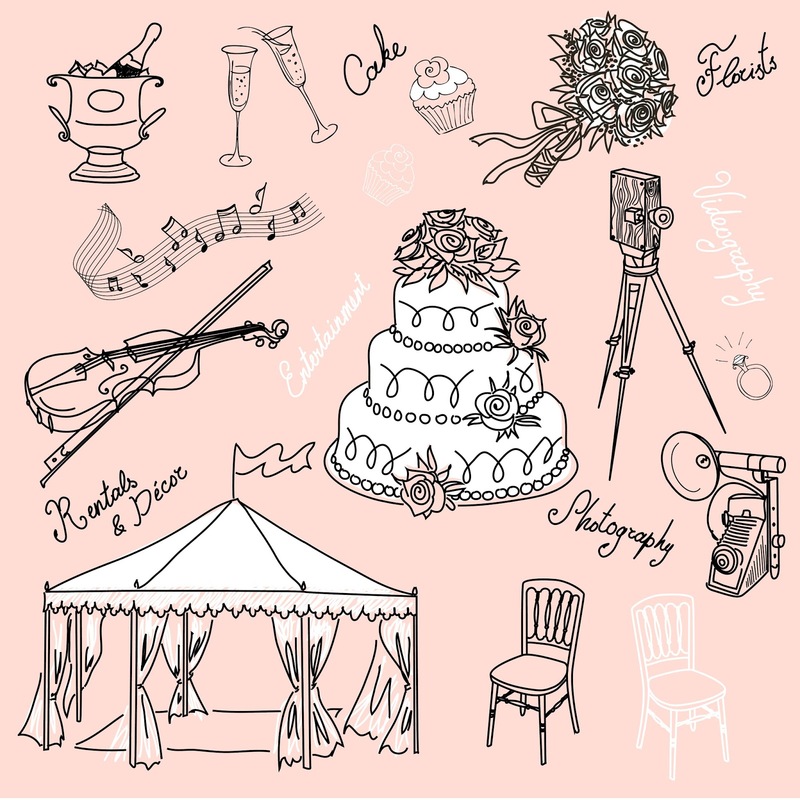 In honor of National Weddings Month, WhereBridesGo.com has decided to break down the different parts of a wedding. This week we will cover a suggested wedding planning timeline. The different parts of the ceremony and reception will each be covered in the next two weeks. It's time to share your excitement with everyone and announce that engagement! It's a wonderful time to have a party to celebrate and introduce your closest family and friends to each other. 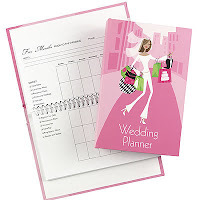 Start a wedding planning binder. 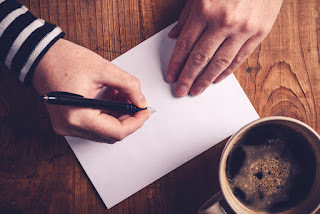 You will want one central spot for keeping all of your ideas, inspiration, notes, vendor business cards, etc... You can do this with a real notebook full of folders and paper, or online with a digital one that you have access too with your mobile devices. The amount of people that you absolutely have to invite to the wedding will determine the size of venue you will be needing. The best way to go about this is to have four lists made. The bride's, the groom's, and each set of parents. Hopefully there will be a lot of duplicate names, making it easy to combine the four. After you have all of the lists together, it's time to decide how many poeple you can afford or fit, then start making cuts. Choose the venue &/or date. If the venue is more important than the wedding date, you will have to choose from available dates on your favorite venue's calendar. 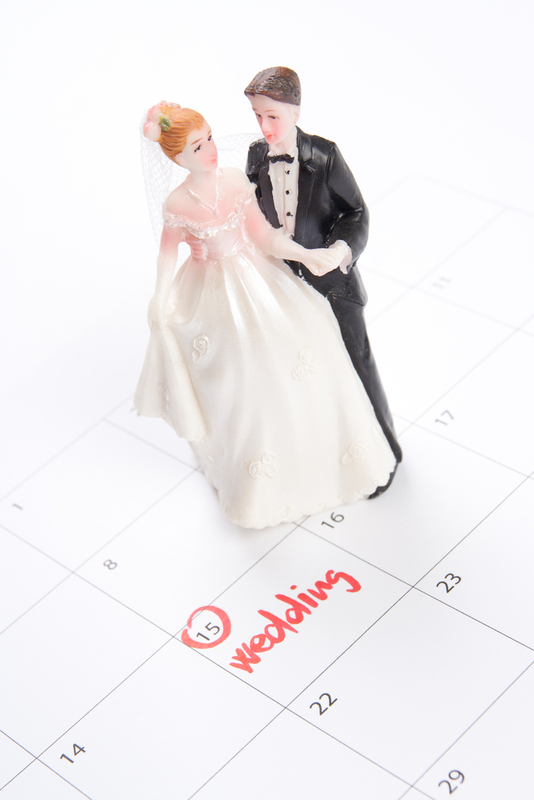 If you absolutely have to be married on a particular day, some venues may already be booked. One will decide the other. It is extremely important to take care of this step. It will help to keep you in check once the excitement of planning takes over and you think you need everything in sight. The happiest day of your life won't seem nearly as great if you have to spend the next couple of year's barley getting by because you still owe so much on your wedding day bills. It's not the most fun part about planning, but you will be happy that you took the time to do it. Ask your bridesmaids & groomsmen to be in the wedding. The people that you invite to stand up next to you while you say your vows will be your nearest and dearest family and friends. Give them plenty of notice so they have to carve out the time to be there for you. You can find lots of creative ways to ask them on sites like Pinterest. Any wedding vendors that can only do one wedding per day, like photographers and coordinators, book up quickly. You will want to book your favorite before your date is taken. Bakers, florists, and most caterers can often handle a few weddings at the same time, so they aren't as urgent to book. Don't wait, though, because the best ones always go first! You don't know how long it will take you to find that perfect wedding dress, and usually once you do, it will have to be ordered. It can sometimes take up to six months for that order to come in, and after it does you will most likely need a few alterations. Shopping early gives you plenty of time to shop without rushing. Once you have the gown picked out, go ahead and choose your accessories and undergarments too. These will also need to be ordered and possibly altered. Do it early and avoid rushing at the last minute. This is only necessary if you are hosting your wedding out of town or near a holiday. It will give everyone plenty of time to make arrangements to attend. This is another item that will either need to be ordered or handmade if you decide to DIY. Decide on exactly what you want so you will be ready to order once you have all of the wedding details locked in. This is another optional item, but if you are doing it, now is the time to get it started. An online site for all of your guests to go to for updated information, directions, and hotel recommendations will make everything easier on everyone involved. It's also a wonderful place to share your story and introduce your wedding party. Book hotel blocks for out-of-town guests. Most hotels will offer a discount to your guests if you reserve a set number of rooms. Don't forget to make special arrangements for the two of you on the wedding night too! This could take a while, especially if the two of you don't quite have the same musical tastes. You will need to choose songs for the different parts of the ceremony and the reception activities, and have a list of your favorites for dancing. Don't hesitate to give the DJ or band a list of "Do NOT play" songs too. Reserve rental items and book miscellaneous services. All decorations that you are renting should be reserved now, and also book any necessary services such as transportation to and from the ceremony site. Have fun with this! Take a break from planning and make it a date night. Don't be shy either. If a group of people choose to go in on a gift together, you may luck out and get that expensive item you almost didn't ask for. Check the marriage license requirements for the county you are getting married in. Pick out and order the men's attire. Book a rehearsal dinner site. 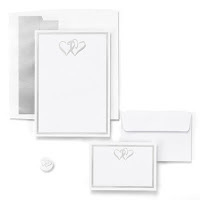 Order wedding decorations and accessories online. If you are writing your own wedding vows, get them started. And keep it in a very safe place! Make name changes on all documents. Confirm details with all wedding vendors. If anything isn't right, you will have an entire month to get it corrected. Plan a schedule of events for the wedding weekend. Give the final guest count to the caterer. Confirm arrival times with all vendors. 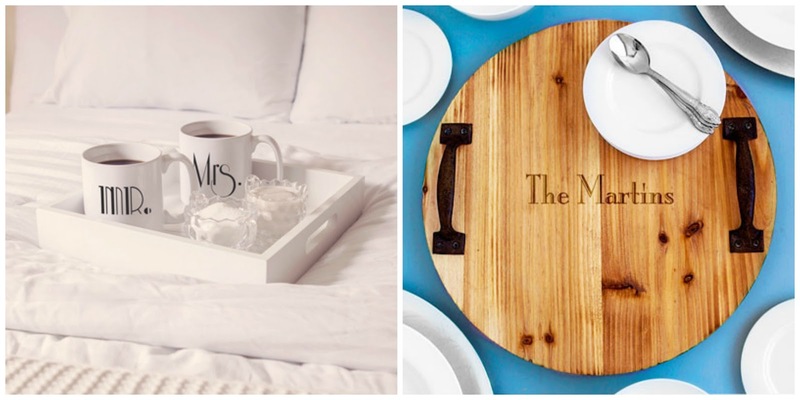 Designate someone to return rental items after the wedding. Don't worry, it's a lot to take in all at once, but if you plan your wedding one step at a time, it can go very smoothly. WhereBridesGo.com is a great place to start. Our large variety of wedding accessories online are wonderful for inspiring brides and grooms imaginations. Next week for National Weddings Month, we will go over the parts of a wedding ceremony with you. The better you understand everything that needs to be taken care of, the easier it will be to get it all done exactly the way you like.